Zomato’s just released its FY18 annual report, and the numbers are looking pretty solid. Zomato’s overall revenues were $74 million (Rs. 480 crore) in FY18, up nearly 45% from $51 million last year. And while Zomato’s revenues grew, it managed to contain its losses — Zomato’s losses fell nearly 25% from $15 million last year to $11 million this year. Zomato now makes its money from several different verticals. It has its original advertising business, and over the last few years, has been aggressively promoting its food delivery operations as well. And in recent months, Zomato’s started off two successful loyalty programs in Zomato Treats and Zomato Gold. We went through Zomato’s mini annual reports from the last two years to figure out where the company earns its revenue from. 1. Advertising (62%): Zomato had started off as an online restaurant aggregator, and still earns the bulk of its revenues through its original business — advertising. Zomato lets restaurants advertise on its platforms through sponsored listings, and earns more than half its its revenues through this channel. Last year, Zomato had said that it had done $38 million in ad sales; this year, it said it raised advertising sales by 20%. That would make Zomato’s advertising revenue roughly $46 million. This represents a 62% share of its overall revenues in FY18. 2. 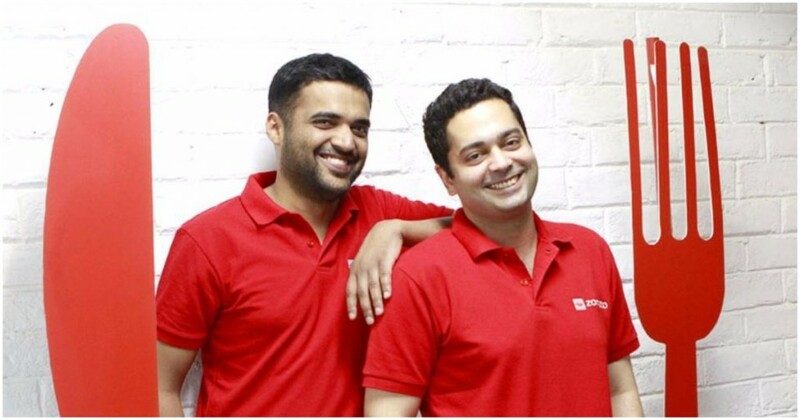 Food delivery (30%): Zomato had launched its food delivery vertical in 2015. In its inaugural year of operations, food delivery was only 2% of its revenues. Zomato’s aggressively expanded its food delivery operations since — in FY17, food deliveries accounted for 18% of its revenue. In FY18, food deliveries contributed 30% of Zomato’s overall revenue, becoming the second largest source of revenue for the company. 3. Zomato Gold (~12% monthly): Zomato says that Zomato Gold, its loyalty program that gives users discounts when they visit selected restaurants, now contributes to 12% of its monthly revenue. Given Zomato Gold was only launched in November last year, its contribution to the company’s overall FY18 revenues is likely to be lower. But a current 12% monthly revenue contribution means that going forward, Zomato Gold will likely become a major revenue contributor for the company. Zomato says that Gold currently has ~160k subscribers, and a 500k long waiting list. 4. Zomato Treats (0.5%): Zomato Treats had been launched in April last year, and offered members a free dessert when they ordered food from a select restaurants. Zomato says it has 280k subscribers across Zomato Gold and Zomato Treats, and 160k subscribers for Zomato Gold. This would mean that Zomato Treats has ~120k subscribers. Since its launch, Zomato Treats has been priced at different times at Rs. 149, Rs. 249, and Rs. 299; at an average price of Rs. 250, Zomato Treats would’ve earned Zomato $370k from Treats, representing 0.5% of its total revenues. Going forward, it does look like the bulk of revenue growth for Zomato could come from its ordering business and subscription services. Zomato already has most restaurants in India (and the other countries it operates in) on its platform, and is the go-to service for users to discover new restaurants. It probably realizes that it had no headroom to grow its ad revenues in this vertical. But it’s cleverly opened now new revenue channels, and they are growing fast — while its ad business grew only 20% this year, its food ordering business grew nearly 60%. And with its subscription services growing fast with almost no competitors and half-a-million-strong waiting lists, Zomato could change its revenue profile dramatically in the years to come.